We already covered this social enterprise a year ago: Healthy Dog Treats “Mops Shmops”: How Well-Off Dogs Help Poor Ones. 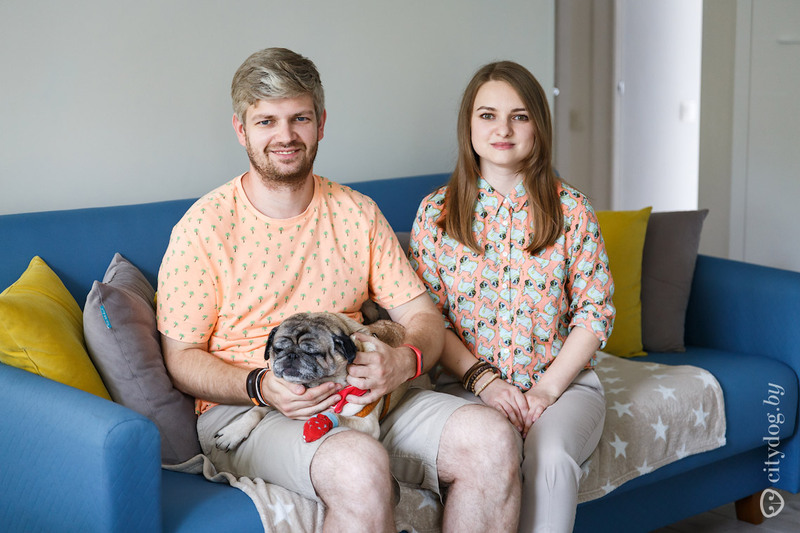 Then, Natallia and Vitaly spoke to us about their pugs, Mozart and Erica. They got Mozart from an unscrupulous breeder, who had caused the dog to lose a paw. Natallia says that they have managed to find out more about Mozart’s pedigree: it turned out that he is a purebred. They have had paw prosthetics made for him in St. Petersburg, which are now being modified. Erica has starred in a cell carrier commercial and is a diligent student of the School of Obedient Dogs. As we can see, pugs are doing well, so what has changed in the social business over the past year? 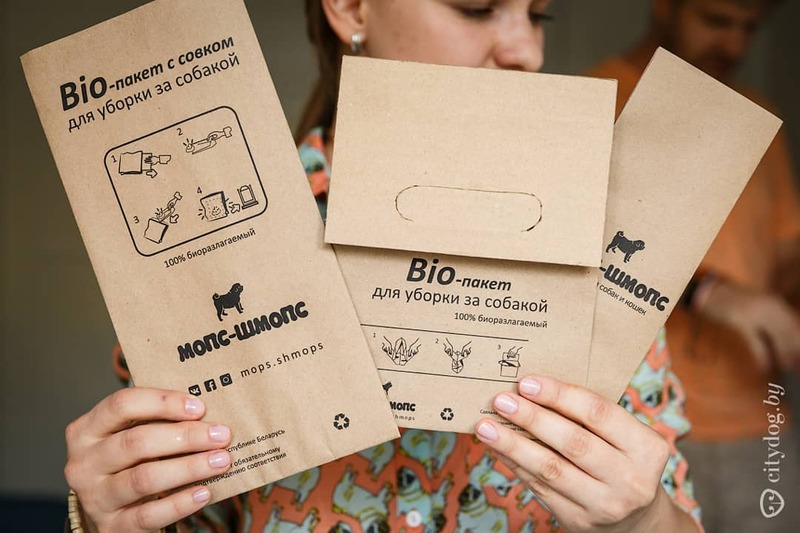 Even though the entrepreneurs had the idea to produce and sell biodegradable paper dog poo bags in Belarus for a long time, they only started to sell the paper bags early this year. 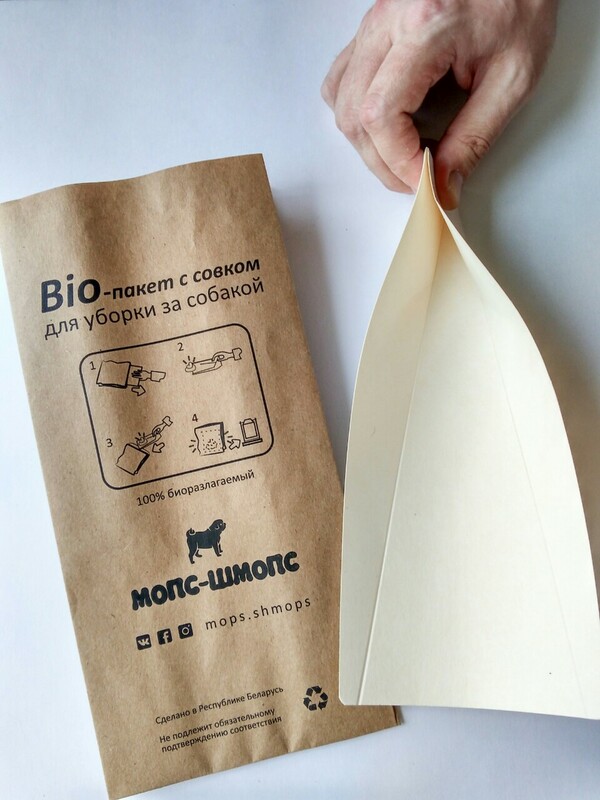 The paper bags were sold through zerro.by packaging free store, which we covered here: First packaging free store in Belarus zerro.by: what should Belarus be like in 5-10 years? Natallia remembers: “We were looking into production opportunities and were looking for partners. In the end, only two Belarusian companies agreed to produce such bags. At the same time, we also thought about ways to put the paper bags into market. We discussed a crowdfunding campaign with experts and potential partners, but finally decided to abandon the idea because the topic was such a niche one”. It took a lot of time to make test batches of paper bags, because the initial production costs were very high. Incidentally, this is one of the most common criticisms aimed at such a product — how can an ordinary paper bag cost so much? As of now, 10 packets with scoops (27 × 13 cm) cost 3.5 BYN, and 10 bags with handles cost 4.5 BYN. 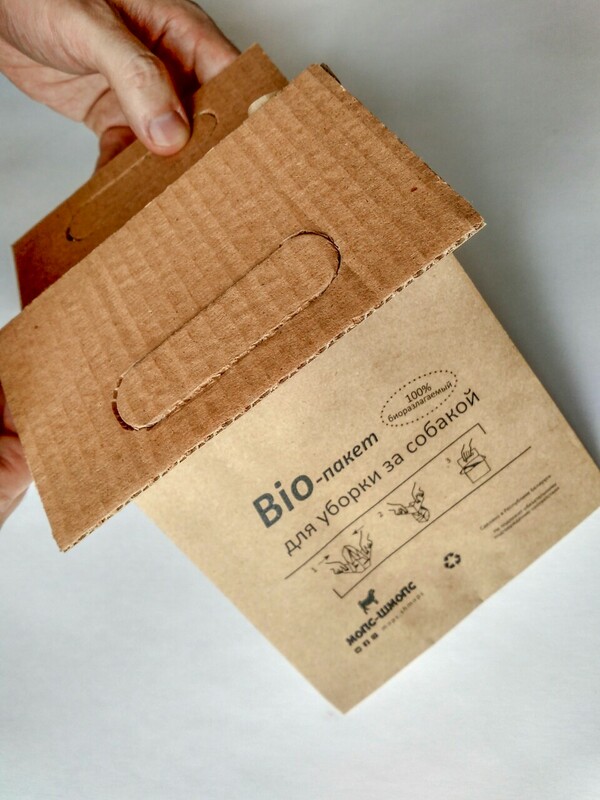 The bags are produced by the Belarusian social enterprise “ArtIdea" from recycled craft paper (Class A Kraft — 85% waste paper, 15% unbleached pulp). 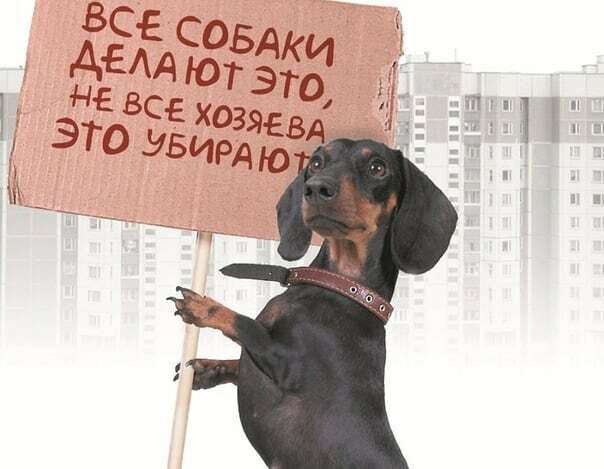 Vitaly says: “When we use social media to raise the problem of picking up after dogs, we see a lot of response from the pet owners and from others. However, the most environmentally friendly way to clean up dog faeces now worries far fewer people. 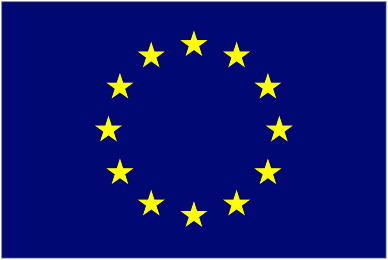 These are people who take a conscious approach to environment and environmental protection. However, we see that there is interest and demand, although it is still quite small. It is important for us to receive feedback. People write to us: “I never thought about cleaning after my dog and why” or “we never thought how to best clean up after our dog.” We see that after our posts these people became interested in the topic”. In our interview with co-founders of the first in Belarus store without packaging zerro.by, the entrepreneurs emphasized that they were trying to look for environmentally friendly Belarusian goods and give preference to them when possible. If something is not produced Belarus yet, then they will be looking for someone who can fill the gap. This is what happened with environmentally friendly dog toys by Mops Shmops. Today, Mops Shmops orders their hemp toys from the Club House “Open Soul “OO “BASR” for people with mental illnesses. 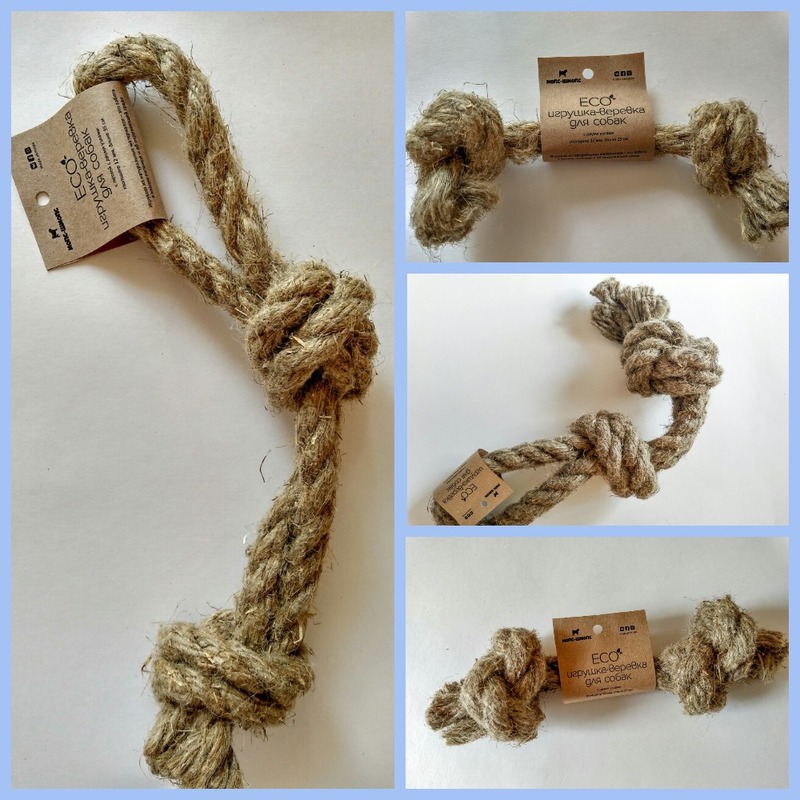 The team trained people from the Club House in simple rope toy weaving techniques, and the first batch of 14 different products for all dog breeds has already been produced. The toys cost from 3 to 15 BYN. The toys are about to be launched in zerro.by, on the platform of craftcentr.by. You can also order these products directly from Mops Shmops. 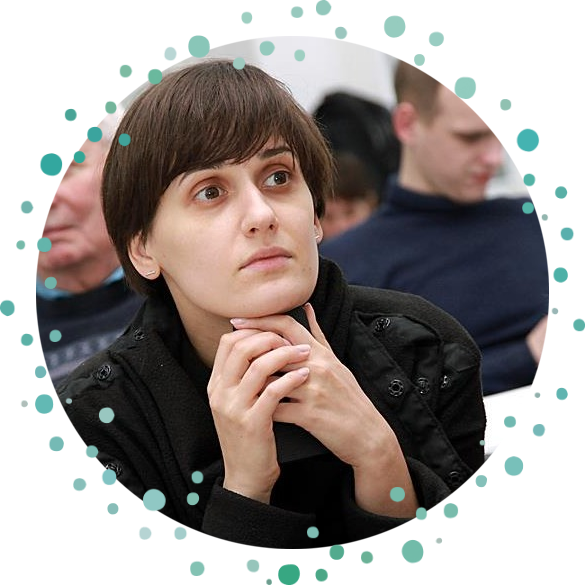 Sviatlana Hatalskaya, co-founder of zerro.by packaging-free store, describes the moment she had an idea for cooperation: “I am the person responsible for the range of product we stock, so I googled a lot, looking into the eco-trends all over the world, and found a lot of alternative dog bowls, foods and toys. I shared what I found with the Mops Shmops guys, just in case they got interested in producing alternative items for dogs. Especially considering that no one does that in Belarus now, so they would be the first. And now we have the first batch of toys”. The dog entrepreneurs also tried to launch a line of cat treats, but were not successful. Cats are really picky, so it is difficult to please them.